In a place like New Jersey or Portland, Oregon. Or they could still be asleep. Who remind me of The Old Man And The Sea. And head down to the shore. After being polished by the waves and sand. And I’d be a happier man. Sara and I went out for our anniversary on July 26. We drove into Iowa and headed for an afternoon at a winery. On our way we stopped and had a picnic in a small field. 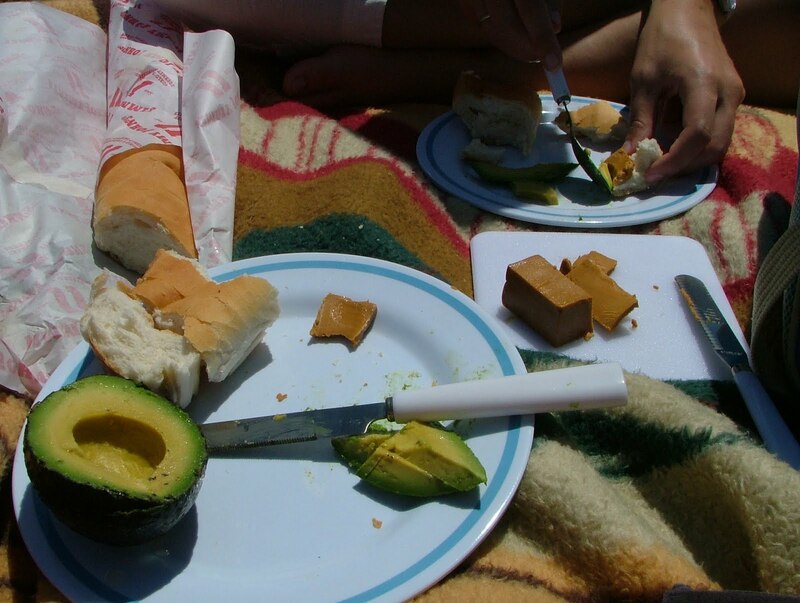 We had ski cheese, avocado, Jimmy John’s bread, and tuna. We polished it off with some sparkling grape juice. It was an awesome picnic and a great way to celebrate our event. I feel like summer is already threatening to leave us. I actually prefer fall, but I still find it hard to watch such a great summer go by. Such is the way of life, I guess. Enjoy the seasons and then wave as they pass you by. Author D NashPosted on August 12, 2009 February 21, 2017 Categories AnniversaryLeave a comment on Our anniversary picnic!